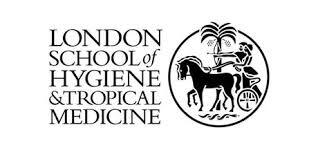 The London School of Hygiene and Tropical Medicine has been awarded funding by the Wellcome Trust (through their Master’s Programme Awards in Humanities and Social Science) to support one studentship per year for 3 years (2019/20 – 2021/22) through MSc Public Health. The Wellcome Trust Master’s Programme Awards in Humanities and Social Science scheme aims to build an influential and diverse population of talented researchers in the humanities and social sciences in order to improve the understanding of human health. This aim is being fulfilled through Master’s Programmes that improve students’ understanding of health through the humanities or social sciences; prepare students for a career in health-related humanities or social science research; and build an influential and diverse population of talented researchers. The successful student will be required to follow a humanities and social science ‘pathway’ through the MSc Public Health scheme. This will involve taking modules in humanities and social science disciplines and using one or more of these approaches in the MSc project. Candidates will be expected to be planning a career in health-related humanities or social science research. As this studentship is competitive, candidates should hold, or be expected to hold by 1 September 2019, qualifications of the same standard as a good honours degree at first or upper second class level from a UK academic institution in a humanities or social science discipline. Applicants are also expected to demonstrate experience in health-related humanities or social science research. Applicants can check that they meet this experience requirement by referencing the ESRC’s ‘social science’ discipline list and/or the AHRC’s ‘humanities’ disciplines list. The studentship is only available to applicants who are assessed as having a UK/EU fee status, according to the regulations set out on the UKCISA website. Applicants must hold an offer of admission for 2019-20 entry for the London-based (face-to face) MSc Public Health programme at the London School of Hygiene & Tropical Medicine by the studentship deadline of 1 May 2019. The application process has two steps. To be considered for the funding, applicants must meet all eligibility criteria and complete both steps outlined below. Applicants must submit a complete School application for MSc Public Health via the School’s online application portal. Complete applications, including all necessary supporting documents, must be submitted by 28 February 2019. Applicants must submit an application for this studentship funding via our Scholarships online application form by 1 May 2019. A completed Supplementary Questions Form for this scholarship must be uploaded as part of this application. This is the only attachment required in Step 2 (as applicants should have already submitted references; transcripts; a CV etc with their application for study). If you encounter any technical difficulties whilst using the online scholarships application form, in the first instance please try clearing your browser cache and ensure that you are using the latest version of Chrome, Firefox, Internet Explorer or Safari. If this does not fix your technical issue, please contact the School’s IT Services team, providing your full name; the scholarship that you are applying for; and the technical issue that you have encountered. Please also attach a screen shot where possible. servicedesk@lshtm.ac.uk. Each applicant should submit only one Wellcome Trust Master’s Studentship (MSc Public Health) application. We would therefore encourage applicants to check carefully their online application and attachment before submission, as the first application submitted will be the one considered and there will be no opportunity to upload the Supplementary Questions Form after submission. Applicants who have already submitted a completed 2019-20 London-based MSc Public Health application for study and/or have been made an Offer of Admission for the 2019-20 London-based MSc Public Health should apply for the scholarship by completing the scholarship application (Step 2 above) and submitting this by the deadline. Incomplete applications will not be considered for this funding. Incomplete applications includes those with missing supplementary documentation at either/both Steps 1 and 2 above. By applying for this funding applicants agree to its Terms & Conditions. Decisions will be reached, and the successful applicant notified, by 31 May 2019.